I’ve tried all sorts of supplements for all sorts of various reasons over the course of my life. Out of all the supplements I’ve ever tried, I don’t think I’ve ever had one that actually made a radical difference in the way I feel. I have no agenda here. I’m not getting paid to write this article by some supplement maker. I’m not trying to hock any products on you. I just wanted to share my results taking a turmeric/curcumin supplement because they were so substantial. I’ll probably be taking this stuff until I’m dead. Most of you are probably aware that turmeric is a root vegetable similar to ginger that is used primarily as a spice, particularly in Indian cuisine. The main active component of turmeric, that seems to produce most of the health benefits, is a compound called curcumin. Most turmeric supplements have a portion of turmeric mixed with a curcumin extract, although some may contain just pure curcumin extract. 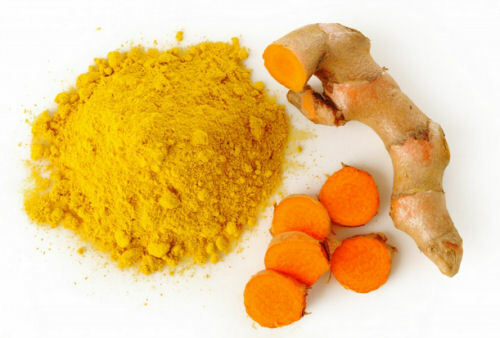 Curcumin is what gives turmeric it’s color. I started taking a relatively low dose organic turmeric supplement about a month ago. It contained 370 mg of turmeric and 80 mg of curcumin extract with no piperine. I was taking two of those a day. I didn’t really have any particular health outcome in mind when I started taking it. I just wanted to add turmeric to my diet because I knew it was protective against cancer and helped improve blood flow while reducing inflammation. And since I don’t really enjoy the taste, I figured a supplement would be the best way to add it to my diet. After a few weeks, I noticed that something peculiar began to happen. I had far fewer negative thoughts cycling through my brain. I was happier and less anxious than I’ve been in a long time. The effect was so noticeable that I began looking for a reason as to why. Low and behold I came across this study. 20 mg of Prozac vs. 1000 mg of curcumin in a randomized control trial to treat major depressive disorder. Guess who came out on top? It was a tie, with additive effects if both were taken together. Turns out curcumin is as effective at treating depression as Prozac, but the curcumin has no serious side effects. I literally had no idea that turmeric was an antidepressant when I started taking it. I didn’t even know I was depressed to begin with! It wasn’t until after I started taking it that I realized how negative my thought patterns had been. I would get stuck in these repetitive negative thought loops that would be difficult to break out of. After taking the turmeric, I found the frequency and severity of those thought loops to drop substantially. If my experience is any indication, it’s not a magic happy pill, but it will certainly make a massive difference in the frequency and severity of negative thought patterns. It’s worth mentioning that most of the effect from Prozac is due to the placebo effect. So the fact that a study found that curcumin and Prozac were equally effective doesn’t say much about the pharmacological efficacy of curcumin when it comes to treating depression. However, the fact that additive effects were found is encouraging. And my own anecdotal results are also interesting in the fact that I wasn’t anticipating any kind of mental benefit by taking the curcumin. Since the risks of taking curcumin are so low, it’s worth giving it a shot. Since I had such good results with the low dose, I decided to get a stronger version that contains 350 mg of organic turmeric, 150 mg curcumin and 5 mg of piperine. The addition of piperine (an extract made from black pepper) boosts the absorption of the curcumin nearly a thousand percent. Fat also boosts the absorption of curcumin, so taking it with some peanut butter might also help boost its effectiveness. I’ve seen some supplements with as much as 500 mg of C3 curcumin per pill. While curcumin is safe at doses up to 1000 mg with piperine, high doses may cause blood serum concentrations to rise above 2 ug/ml. In vitro, concentrations above 2 ug/ml have been shown to cause cellular damage. One study showed blood serum concentrations peaked at .23 ug/ml after 2000 mg of curcumin was taken alongside 20 mg of piperine. It’s also worth noting that high doses of curcumin act as a blood thinner and can cause an upset stomach. You should not take curcumin before any kind of surgery. If you do decide to take a high dose curcumin supplement, I would try to limit the dosage to 1000 mg per day taken in a 500 mg pill during the morning and evening meals. Curcumin is rapidly metabolized by the body, so splitting the dose up during the day is the ideal way to take it. However, I saw results taking a low dose once a day, so you might not even need to do that. For serious chronic diseases, higher doses may be necessary to see benefits. People considering curcumin supplementation should take the time to read this excellent article on potential side effects. If you have arthritis or diabetes, a high dose curcumin supplement may make a substantial impact on your pain and blood sugar levels. Curcumin has been shown to repair liver damage caused by diabetes and improves arterial function and blood circulation. A whole food, low fat, vegan diet has been shown to reverse diabetes and drastically improve arthritis, so combining the vegan diet with curcumin supplementation may create an additive curing effect. Virtually all cases of type 2 diabetes can be cured through weight loss and a whole food vegan diet plan, and the vast majority of people see significant improvement in arthritis pain on a vegan diet. Turmeric/curcumin has been shown to have protective or curative effects on a wide range of western diet induced diseases. Evidence exists for positive benefits in the treatment of colon cancer, prostate cancer, cystic fibrosis, inflammatory bowel disease, arthritis, leukemia, liver disease, gall bladder function (people with gal stones should not take turmeric as it causes a contraction of the gal bladder), cardiovascular disease, high cholesterol and Alzheimer’s. It really is a super-food in the truest sense of the word. There’s also evidence that curcumin is a potent anti-fungal. One review found that curcumin was more potent than fluconazole at inhibiting the adhesion of candida fungi to human epithelial cells. This effect is magnified 5 to 10 fold when curcumin is taken in conjunction with ascorbic acid (vitamin C). Yeast infections have been linked to bipolar disorder and schizophrenia, so curcumin may be useful in treating those conditions as well. One other thing I would recommend is consuming a tablespoon of dark vinegar once day on a dark green leafy salad. If you’re not keen on giving up animal products, vinegar has been shown to blunt the effects of animal fat consumption and aid in weight loss while improving arterial function. To sum up, this is one supplement I actually recommend taking. It’s safe, effective and relatively cheap. It’s worth noting that Indians have some of the lowest cancer rates on the planet. While this is probably mostly due to the extremely low amounts of meat they eat, one has to wonder just how much of a role their turmeric consumption also plays in this.